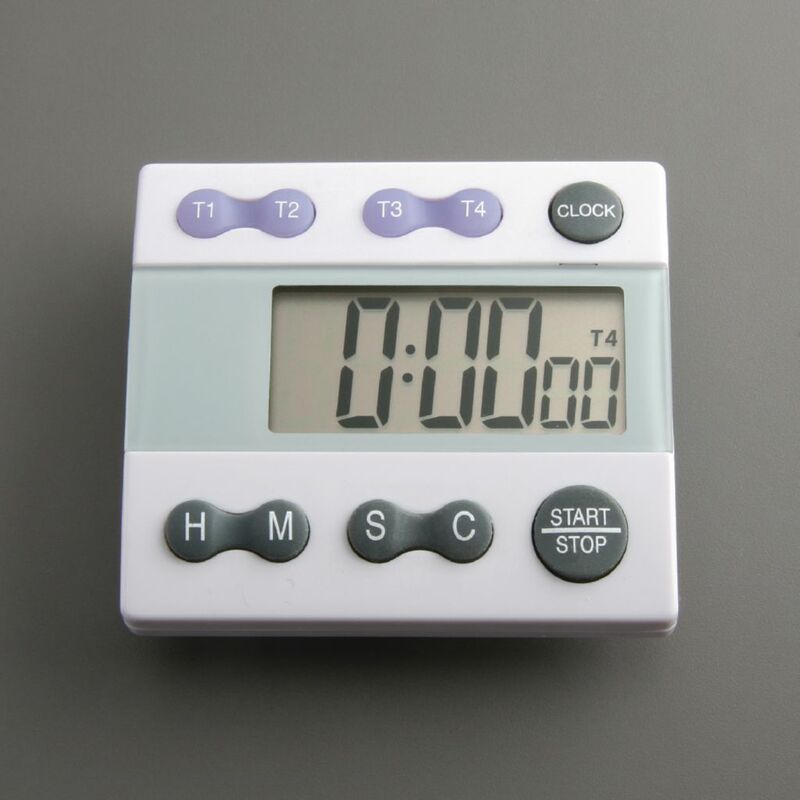 This timer features a clock and four independent channels that count up or down from any interval from one second to 100 hours — each with its own distinctive alarm. It will automatically count up after the countdown reaches zero. 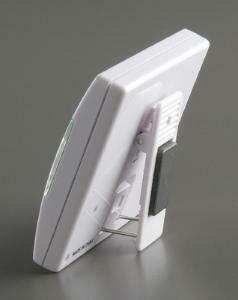 It features a stand, pocket clip, magnet, and a quartz crystal accurate clock display. It runs on a 1.5 V battery, included. Size: 2 7/8"L x 2 1/2"W x 9/16"H.